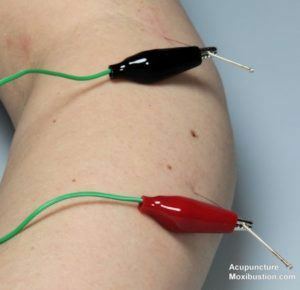 With the same basis of acupuncture, electroacupuncture is a form of acupuncture where a small electric current is passed between pairs of acupuncture needles. At Tao to Wellness, we most commonly use this for pain management, post-chemotherapy vomiting or labor induction. It’s also important to note, a study done by the The Cochrane Collaboration, a group of evidence-based medicine (EBM) reviewers, reviewed 11 randomized controlled trials on the use of electroacupuncture at the acupuncture point, Pericardium 6 or “Nei Guan” to support chemotherapy-induced nausea or vomiting. The reviewers found that electroacupuncture applied along with anti-vomiting drugs reduced first-day vomiting after chemotherapy more effectively than anti-vomiting drugs alone. How wonderful is that?